Virtual reality, or VR, has experienced rapid growth within architecture, engineering and construction (AEC) industries over the past 3 years. What started as a curiosity has now become increasingly commonplace in architecture, real estate development, and construction. In fact, many building owners now request or require demonstration of virtual reality capabilities as part of the RFP process. For building owners, VR provides a highly effective means of visualizing, marketing and selling an architectural project that consistently achieves significant return on the investment. For construction companies, virtual reality dovetails with a BIM workflow and serves as an integral part of virtual design and construction (VDC). In all of the above cases, VR is an effective means of competitive differentiation, providing an edge to companies who are able to offer immersive virtual visualization and collaboration methods. 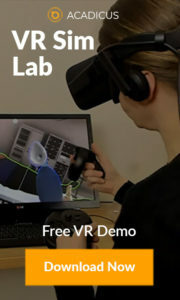 Virtual reality is a computer simulated environment, accessed through stereoscopic goggles that include a variety of different tracking mechanisms that track the viewer’s movement in physical space, and matches those movements within the simulated 3D environment. Headsets display a stereoscopic image, viewed through built-in lenses that creates the illusion of looking out into a space. 3D renderings of the environment are captured in ‘real-time’ – which means the computer is processing and presenting a new rendering of the scene 60 to 120 times per second. This provides the viewer with a very realistic sense of what it would be like to actually inhabit the simulated environment, which is what makes it such a powerful opportunity for architectural visualization. Why Does it Matter for Building Design and Construction? The HTC Vive is currently available to developers only, but pre-orders can be made starting in the end of February. The Vive uses lots of sensors including a MEMS gyroscope, accelerometer and laser position sensors, along with a Lighthouse ‘capture volume’ of approximately 15 feet by 15 feet (4.5 by 4.5 meters) . Photo sensors on handheld input devices enable it to be tracked by lasers mounted on opposite ends of the space. Pros for architectural use: The ability to stand up and walk around in a space is huge for architectural visualization. The full 360 degree tracking effectively eliminates motion sickness, and provides an incredibly immersive experience. Even though the volume you can walk freely within is less than 5 meters by 5 meters, you’ll still feel a lot more immersed and naturally even standing still, since it so accurately tracks your position as you look and move around. 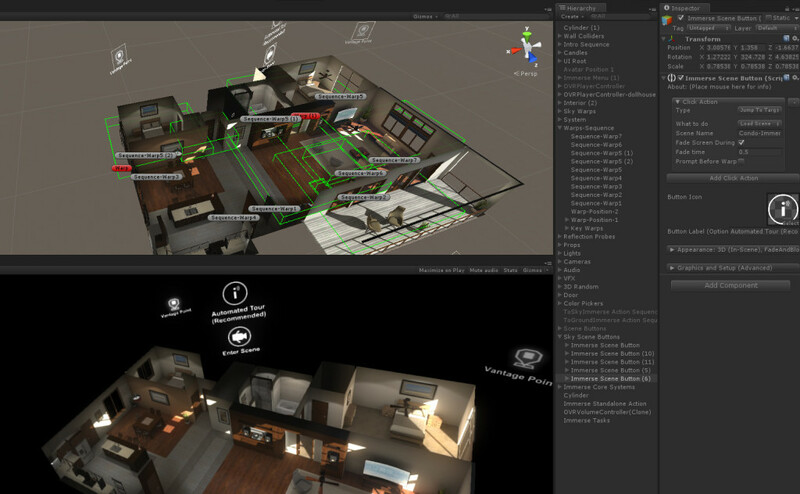 Also, the input devices open new doors for architectural visualization and interactivity, enabling you to reach out and touch various interface elements. The ability to reach out to move and position furniture or other architectural elements will be a new frontier for VR. 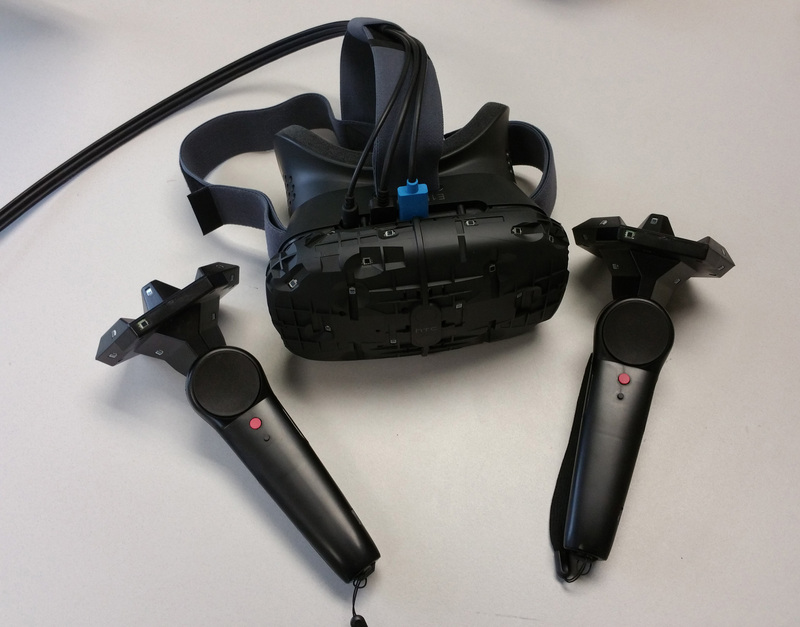 Almost all of our projects prior to consumer devices was built for the Oculus Rift Developer Kit 2 (DK2), which includes a motion tracking system with external camera that tracks infrared dots on the headset. This allows it to track your movement – duck down, or lean to the side and significantly alleviates motion sickness over the previous DK1 prototype or Gear VR that lack positional tracking. Unfortunately, the DK2 is no longer available for purchase directly from Oculus, but there are still some units available for purchase on sites like Ebay. 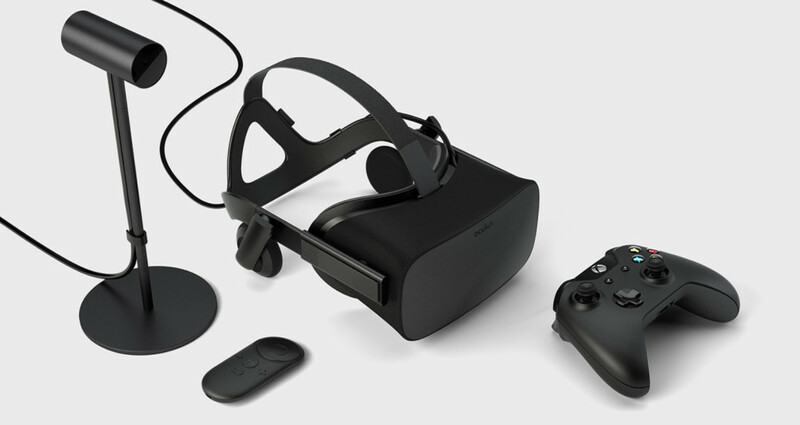 Their new consumer version Oculus Rift (‘CV1’) is now shipping, and features an even more powerful positional tracking system called “Constellation” with infrared tracking sensors that track LED’s on the headset. The system is capable of room scale tracking, so the user can stand up and walk around within the space. The new Rift will have higher quality lenses with a wider field of view, and integrated headphones for 3D audio. Oculus is also releasing a pair of wireless, handheld controllers called Oculus Touch., that are fully tracked in 3D space – so you essentially see your hand in VR. To use the Rift, you’ll need a PC with decent GPU at least equivalent to a NVIDIA GeForce GTX 970 or AMD R9 290. You’ll also need a CPU at least equivalent to Intel i5-4590. Cons for architectural use: Performance targets will be reaching 90 frames per second (fps) with the new Rift, which will require a very careful attention to optimization compared to the 75 fps target for DK2. This will be particularly troublesome for large and otherwise complex Revit conversions that haven’t been manually optimized, since it will likely result in a laggy experience that could cause motion sickness. For architectural applications, there may need to be renewed emphasis on ‘remeshing’ or optimizing environments, furnishings and fixtures to achieve this higher framerate. However, when it’s done right, the quality and sense of immersion is amazing. 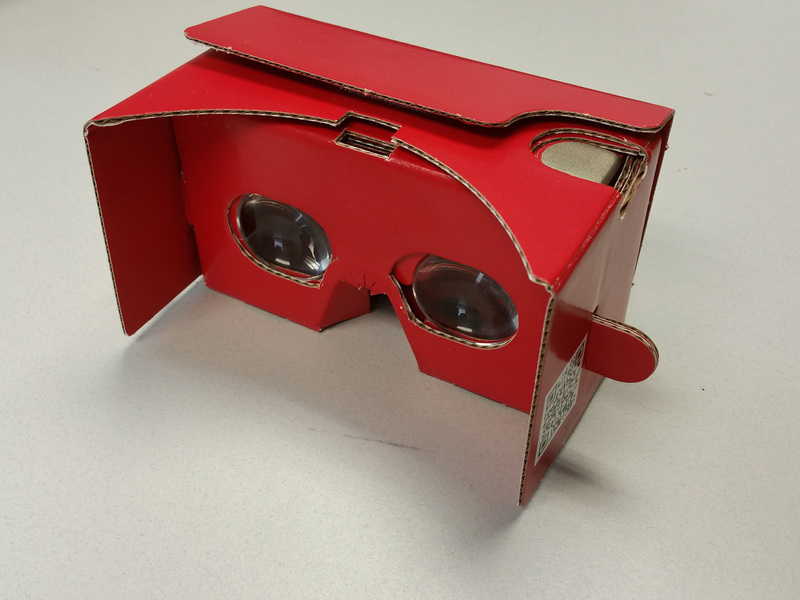 Google Cardboard was developed by Google, and uses a folded cardboard holder with lenses. Cardboard not only uses the phone’s display, but unlike GearVR it also relies on the phone’s internal rotational tracking sensors. This makes the experience noticeably more choppy, and most users can only comfortably view applications for less than a minute or two. However, the cost and convenience of Cardboard are a huge advantage, making it ideal for certain types of applications. Pros for architectural uses: Very convenient and portable – can be custom printed with your logo, images, etc. 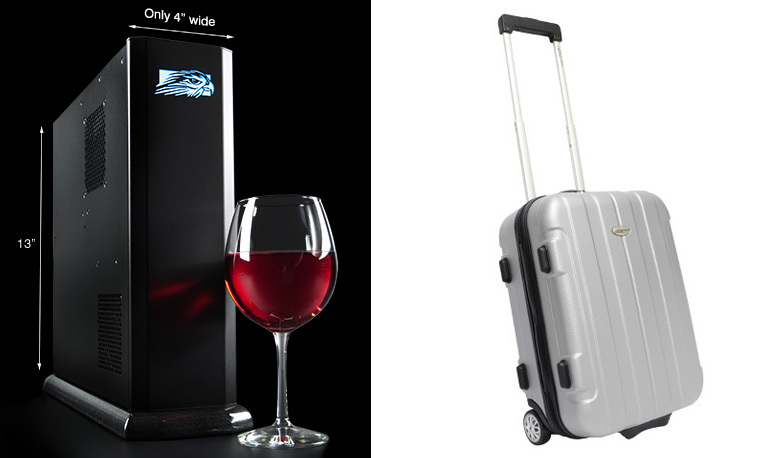 Very convenient and inexpensive. Serves as an effective gateway to higher end VR, with a lower barrier to entry for developers and users alike. Cons for architectural use: Lack of positional tracking makes GearVR quite a bit less comfortable in terms of motion sickness for some users, particularly in architectural applications. Because it depends upon on-board sensors only, and lacks the processing capability of the more powerful PC graphics card, truly real-time virtual reality experiences displayed on a GearVR, other than static panoramas, and environments that have been heavily optimized (often cost prohibitive for architectural applications, will often be of a visual fidelity akin to what computer graphics looked like 8 or 10 years ago – plastic and flat, and often laggy since it struggles to achieve the framerate required to reduce motion sickness. 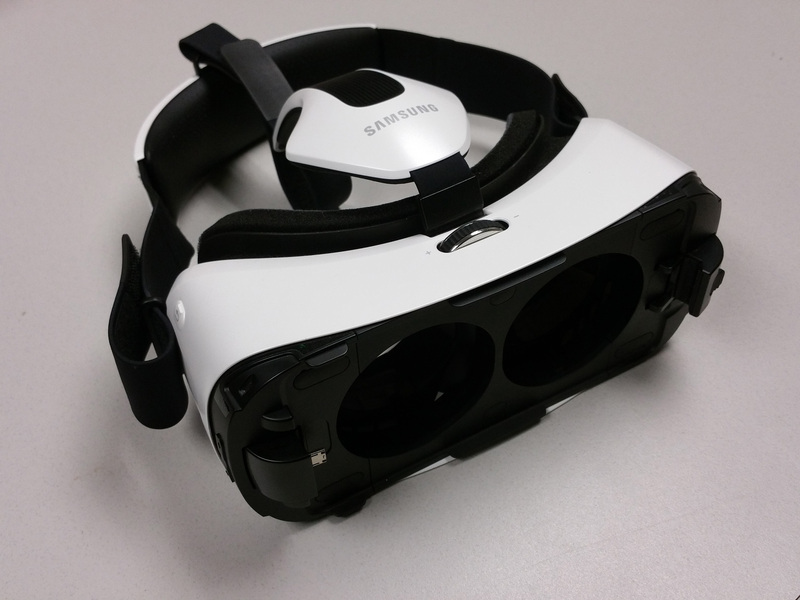 GearVR also requires the use of specific Samsung phone types, and is prone to battery drainage and overheating when used for extended periods. For the higher end virtual reality experiences achieved with the new Oculus Rift and HTC Vive, I described the lack of portability as a downside, which it certainly is. However, it’s worth mentioning that there are PC options available that have very small cases and are easy to fit in a carry-on suitcase. Our current favorite is the Tiki, by Falcon Northwest. This is the same machine Oculus has used for many of it’s own demos, and it packs a significant GPU punch with an NVIDIA 980. 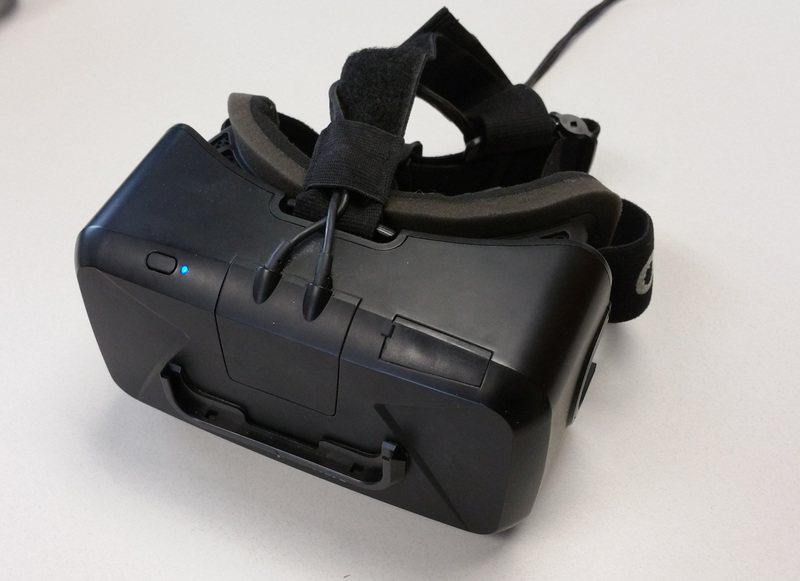 One often overlooked benefit of creating a real-time application for virtual reality with an engine like Unity is the ability to publish the same application as a non-VR version that those without VR hardware can access. Many times, it doesn’t require any extra effort at all – particularly if the application is designed with this flexibility in mind from the beginning. Many architecture and construction companies have the team and technology to create visualizations in-house. This makes it quite a bit easier to utilize virtual reality as an integral part of their process. To assist individuals and in-house development teams with the process of creating VR applications, we’ve decided to make our own toolset available as a resource to save them considerable time and money and recently started a division of Arch Virtual called ‘Immerse Interactive,’ exclusively dedicated to developing these tools. Immerse Collaborative is an easy way to introduce multi-player functionality to VR applications, which opens the door to deeper levels of communication and collaboration between project stakeholders. For Unity developers, it takes under 5 minutes to bring this functionality to a virtual reality application, and the login process for each user is extremely simple and hassle-free.